Together with Ms. Inoue, the Japanese teachers and the exchange students from J.F. 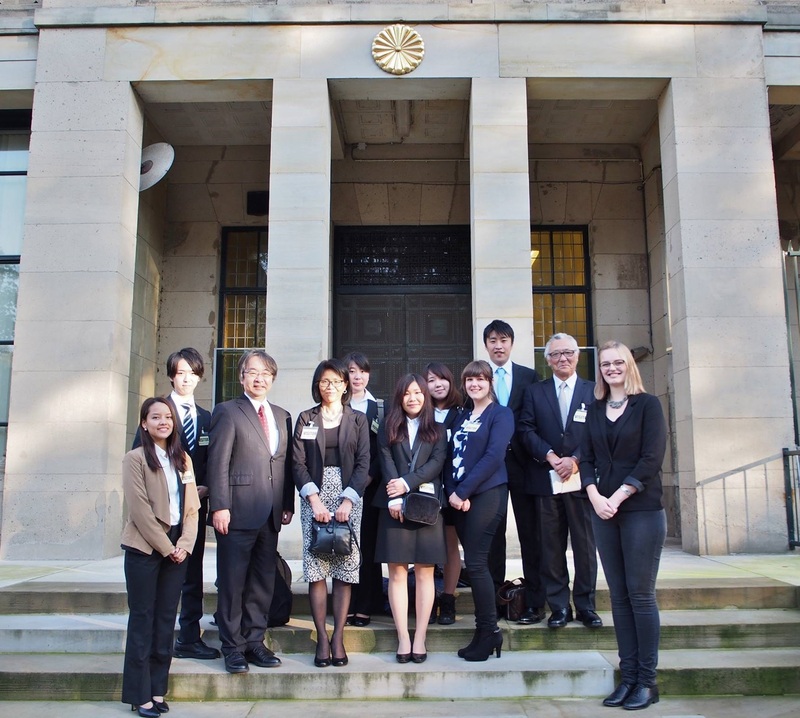 Oberlin University and Meiji University and a class mate, I visited the Japanese embassy. We visited the embassy because of the VIBE scholarship. VIBE means Vision on International and Business-related Education, and is a project between four universities: Rotterdam University of Applied Sciences, University of Eastern Finland, Meiji University en J.F. Oberlin University. The scholarship is provided as a grant by the European Union and Japanese government. We were kindly welcomed by ambassador Tsuji and the employees of the embassy. We entered a very old but beautiful meeting room. During this ‘meeting’, Ms. Inoue introduced the VIBE project and the exchange students shared their experiences with the ambassador. Luckily, I could understand 75% of the meeting. In the room was a very long table and the most important people, the ambassador, the embassy employees, Ms. Inoue and the Japanese lectures, sat in the middle. The people sitting at the end of the table are considered least important, guess who! Yes me and my classmate. Well, okay, for this case maybe the ‘rule’ didn’t apply but it happened to be this way anyway. Me and my classmate introduced ourselves shortly in Japanese. The ambassador and employees still recognized me from the Speech contest, which was very nice! The meeting only lasted 15 minutes and outside of the building we took a picture and were kindly asked to leave, as quick as possible. The two lectures of Meiji University, Dairokuno-sensei, and J.F. 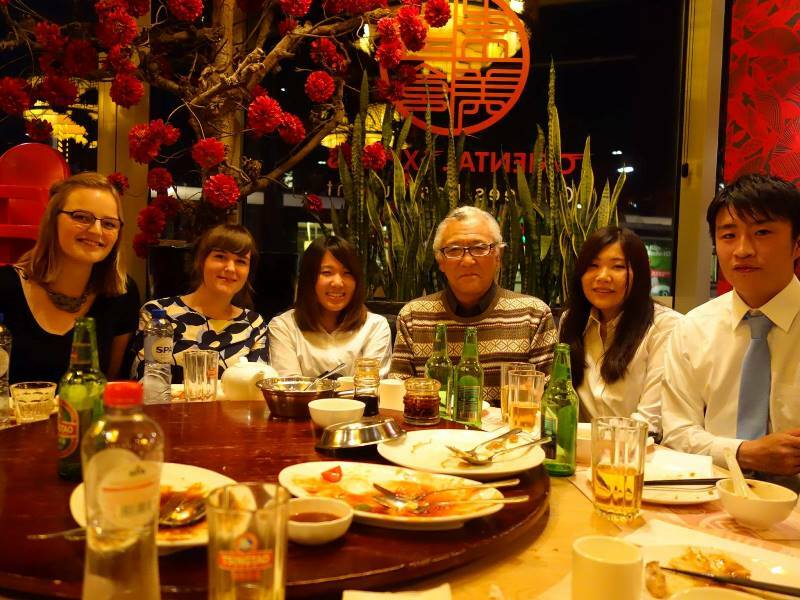 Oberlin University, Hori-sensei asked us to join dinner with them in Rotterdam. It was still quite early in the afternoon, so all of the students headed to Rotterdam and killed some time in a cafe. 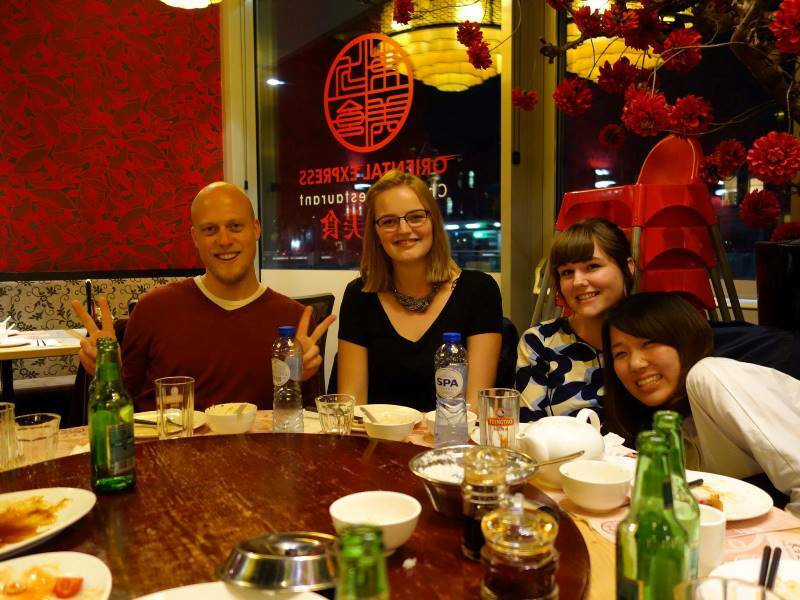 Around 6pm, dutch dinner time, we gathered and decided to eat Chinese at a restaurant near Rotterdam Central station. Do you remember that scene from Breaking Bad, where Marie said “I wonder whether people in Asia say ‘Let’s eat American today! '”, now I feel like this too. Anyway, at the restaurant you could choose various small dishes. Unlike Chinese people, Japanese people do order things I also like. Whenever you are going out with Chinese people, the strangest dishes are served. 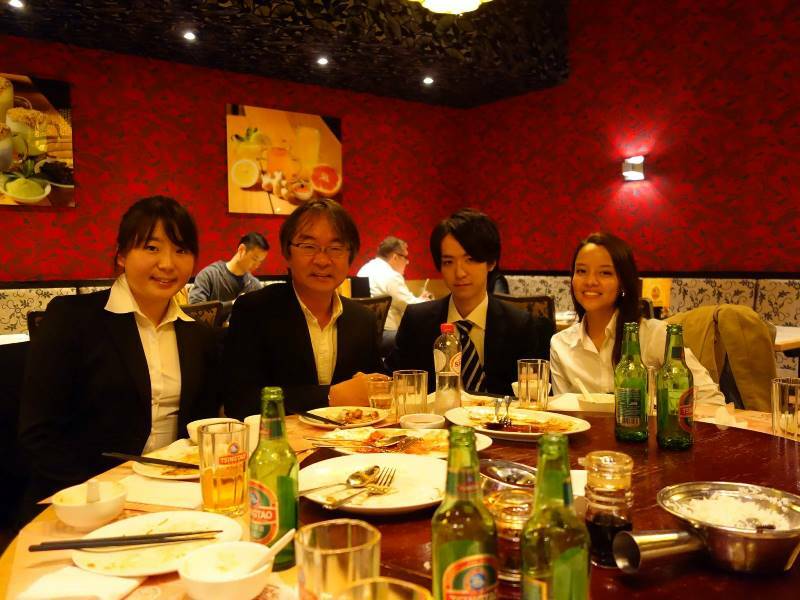 Dinner was paid by the lectures. One of the Japanese exchange students told me it was ‘normal’ because they were the seniors of the group. In the Netherlands eating dinner with your teachers and them paying is like… that would like never ever happen, happy let’s go Dutch 365 days a year! They were very surprised the bill was quite cheap even though we were with many people! I’m thankful for their treat and I really enjoyed this day!